From the cooking, to the glazing and carving a country ham, we hope to provide you with the necessary steps to preparing your Christmas meal with your holiday ham. Check out our video series from 2011 with the help of Chef John Gonzales from A Chef's Kitchen that details the steps to having your ham ready for dinner. If you're looking for cooking instructions on other products besides our hams, go to their respective product page and review the "Store and Cook" tab while viewing on a desktop or on the packaging of your product. These directions apply to the Uncooked, Bone-In Country Ham. There are two options for cooking: The Oven Method and the Simmer-in-Water Method. While the oven method is a more conventional and easier method, the Simmer-in-Water method provides an extra flavor to the ham. However, either option will still deliver a delicious ham for your meal. These directions apply to the Uncooked, Bone-In Country Ham, and the Cooked, Boneless Country Ham. 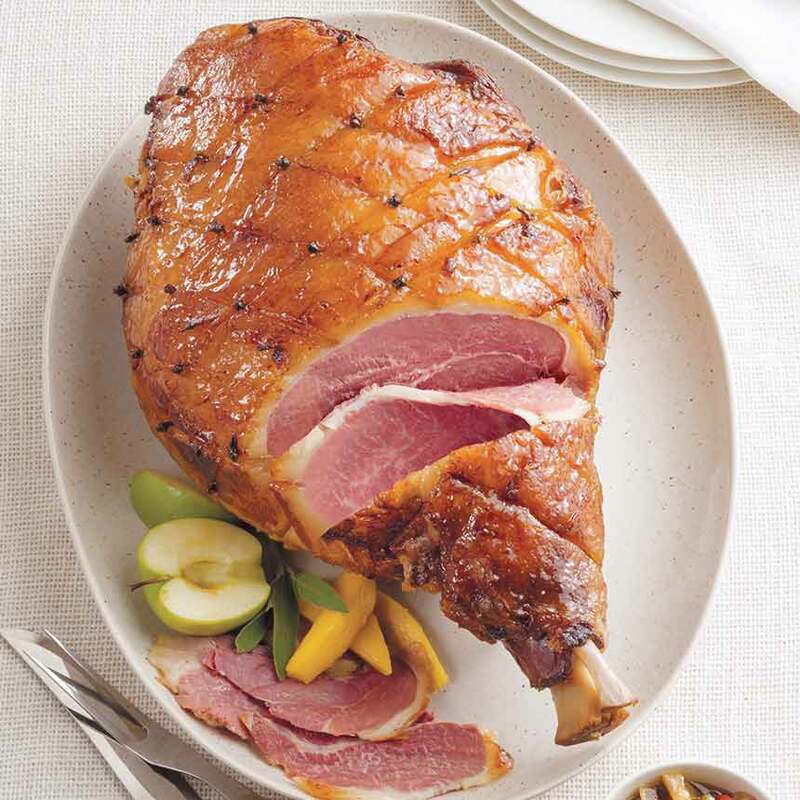 Glazing adds an extra level of flavor and delivers a nice display for your centerpiece ham. Carving is often an under-looked but very critical part to serving your country ham. No matter what country ham you are preparing, whether it's a Bone-In Country Ham or a Petite Country Ham, you must slice your hams as thin as possible. Slicing paper thin slices balances out the strong, salt cured flavor of the ham.